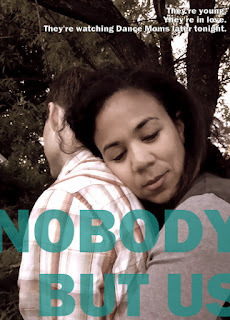 I am not only excited, but honored to be able to present the cover reveal of YA Highway's very own Kristin Halbrook's upcoming contemporary YA debut, NOBODY BUT US. I'm lucky enough to have read this book already and I can tell you that it is raw, romantic, tender, tough, heart melting, heartbreaking and gorgeously, painfully real. You'll fall in love with Will and Zoe. They are an unforgettable couple. It's available for preorder and you can add it to your shelf on Goodreads. 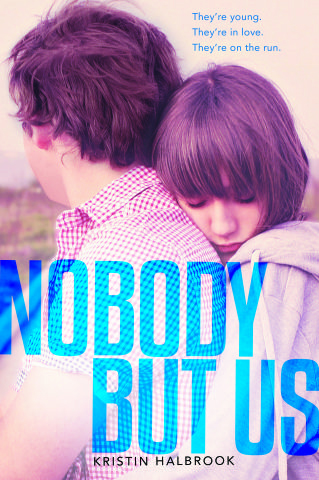 NOBODY BUT US will be released by Harper Children's on January 29th, 2013. And, of course, it wouldn't be the YA Highway if we didn't all dress up and make you look at pictures of us being ridiculous. So to celebrate Kristin's cover reveal, we came up with our own NOBODY BUT US pairings. There is way too much honesty in the taglines. Enjoy! From left to right, top to bottom, that's Kristin Halbrook, Stephanie Kuehn, Kirsten Hubbard, Phoebe North, Kate Hart, Emilia Plater, Kody Keplinger, Veronica Roth and an assortment of Will stand-ins. Love the colors in the cover, simply breathtaking and delightful. I'd buy it. And those renditions = on the floor. I loved them. I'd but those too. I'm totally laughing right now! But AMAZING cover!! HAH!!! Those are great! And great cover too! 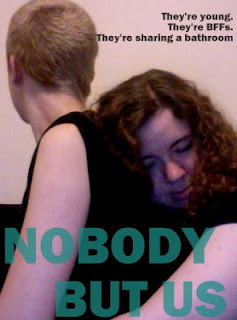 Great cover, Kristin! I love it and immediately want to know why they're on the run. Your imitation covers are hilarious! Thanks for the morning chuckle. Okay, these are AWESOME. I love all the YA Highway covers. And the real thing, of course! 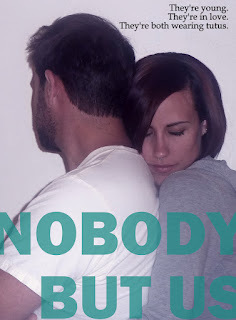 I can't wait - Nobody But Us sounds awesome! Gorgeous cover! It's so cute! Images and tagline are terrific! Congratulations, Kristin! 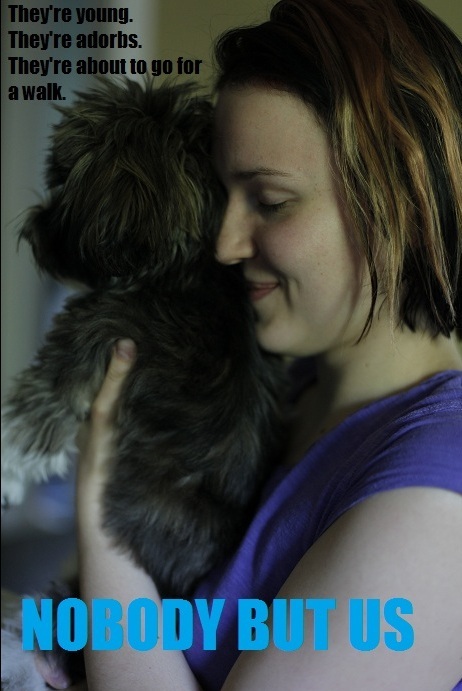 Haha, these pictures made me giggle (: Congratulations to Kristin! This is the best cover reveal I have ever seen in my entire life (of seeing cover reveals). That's a feat, y'all. Seriously. Hahahahahahahaha! Love the real cover too! I love the cover! Yours are pretty funny too! Love this! :) Beautiful covers all around. Oh wow. I love this so much. Sadly, I think YA Highway may have just used up all the cool. The cover is so awesome!! And the other ones cracked me up hard!!! Congrats Kristin!!!! YAYYYYYYY! Love it so much! Exciting. The cover is great. When I first saw the spoof covers, for a moment I thought they were the unchosen alternates, and I wondered if Kristin had somehow auditioned for her own book cover, which would be totally groovy. Alas, it wasn't so. I love it!!! Such a great cover, gorgeous colors!